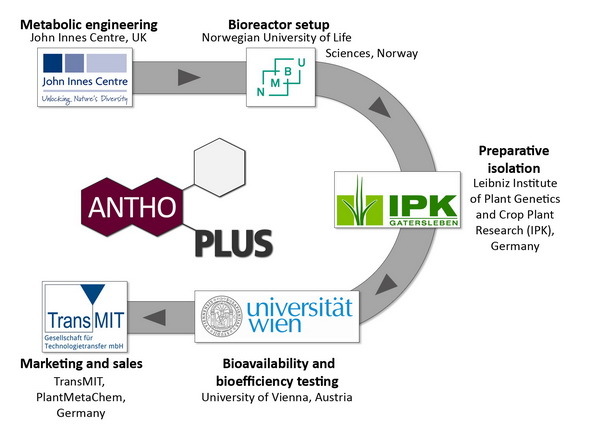 PlantMetaChem is SME partner within the AnthoPLUS consortium, an ERA-IB funded project launched in march 2014. 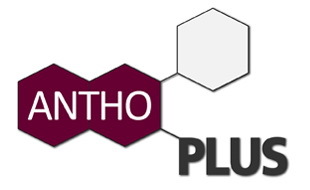 ANTHOPLUS will produce anthocyanins, of varying complexity in side chain decoration, or labelled with stable isotopes as fine chemicals. These will be used for assaying the composition of feedstocks for natural colours and for bioavailability, bioefficacy and mechanistic research in experimental medicine and as standards for assaying natural colorant extracts for improved formulations. We will make use of a robust new tissue culture system that develops the potential of plant cells as green factories for the stable production of natural plant products. Production of these compounds will span the whole value-chain from synthesis, scale-up, preparative purification, assessment of toxicity and bioactivities to distribution for sales.